“THE SECRET HISTORY OF TASK FORCE X” part four! The very first threat faced by the original Task Force X was a creature known as the Red Wave, a beast with the power to reduce the whole planet to ashes—and Harley Quinn’s heading right for it! 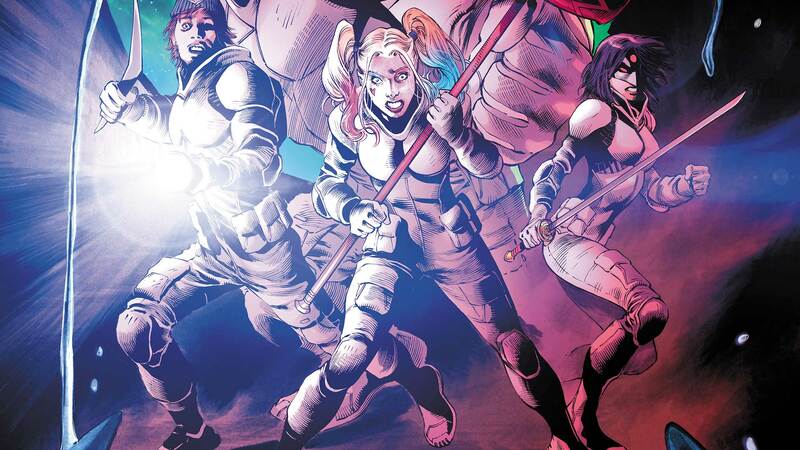 But before Deadshot can warn the clown princess, his team is set upon by an army the likes of which the Squad’s never seen before. Someone is desperate to protect the secret of Task Force X, even if it means destroying Amanda Waller herself!